Dedication Health, an innovative concierge medical practice located in Winnetka, is setting new standards of healthcare excellence within the North Shore community. Launched by well-known area physicians, John Croghan, M.D., and Philip Sheridan, Jr., M.D., Dedication Health provides patients with the most advanced medical care and technology available today, combined with the personal level of healthcare lacking in traditional medical practices. Understanding that Chicago has some of the best and most advanced healthcare in the country, Dedication Health recognizes the challenges of patient care facing most healthcare practitioners today—quality of patient/doctor relationship, time constraints, insurance obstacles, and limited or restricted access to specialized medical care. By moving to a concierge-based model of healthcare, Dedication Health physicians treat their patients holistically and create tailored, individual wellness plans for each patient. Dedication Health is based on a membership model with plans for both individuals and families with children 16 years of age or older. Patients can expect same-day appointments, 24/7 text, email or cell phone access to a physician, medication reconciliation and an on-site, certified lab with same-day results. The practice has state-of-the-art technology, including on-site Radiology (ACR-accredited) including Siemens Digital X-ray, Siemens CT scanner, and EKG Machine. The practice has an on-site, Coumadin Clinic for regular coagulation checks. For patients requiring additional medical care, Dedication Health will arrange appointments with outside specialists or for in-hospital care. Dedication Health physicians have visiting privileges at a number of area hospitals, including NorthShore University HealthSystem, and partner with hospital healthcare providers for patients needing in-hospital stays. In addition to receiving first-rate medical care, patients can expect a higher level of complimentary services when becoming a member of Dedication Health. Whether visiting physicians in the Dedication Health offices or in the comfort of their own homes, a higher standard of care is both expected and exceeded. Dedication Health offers an exceptional array of comforts for each patient—every time they visit. From warm staff greetings and valet parking, to hot tea, blankets and slippers; the team is committed to ensuring each patient feels relaxed and safe. “We know that for some patients, seeing a physician can cause certain levels of anxiety and we pride ourselves on being sensitive to that,” remarked Dr. Sheridan, co-founder of Dedication Health. With an emphasis on the whole patient, Dedication Health members are cared for by exemplary physicians with expertise in medicine and patient care. The staff is comprised of Board-certified physicians specializing in internal medicine, geriatrics, rheumatology, pulmonary, critical care, and travel medicine. In addition to Drs. 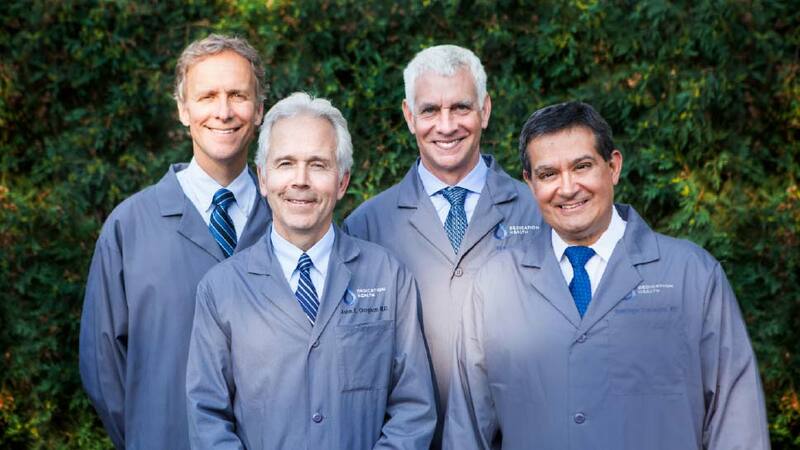 Croghan and Sheridan, the medical staff includes Santiago Candocia, M.D. and Richard Stern, M.D. Complementing the physician staff is a nurturing, experienced team of healthcare professionals. Dedication Health continues to evolve, incorporating the latest advances to improve healthcare outcomes for patients and provide enhanced patient-centric benefits and services, including the latest in telemedicine. A smartphone app created for Dedication Health will give real-time access to a certified health coach who will offer nutrition and wellness advice as well as partner with patients to continuously monitor blood pressure, diabetes, weight, and other general well-being indicators.